Heaping praise and cautious optimism over a ceasefire deal reached in Sweden last month has once again come too soon as repeated violations by Al Houthis of the agreement have taken place. The failure to realise the terms of the Sweden deal is solely the fault of Al Houthis who have scoffed in the face of rapprochement through their attacks across the country. Not only have they carried out a terrorist attack on a military parade in Aden, killing several top government officials, they have attacked a United Nations convoy, carrying the head of the observer mission Patrick Cammaert. While he escaped unscathed, the UN issued a lukewarm report, saying it was unclear who attacked the convoy. However, UAE Minister of State for Foreign Affairs, Anwar Gargash, called Al Houthis out for the attack and on Wednesday put the onus on international institutions to blame Al Houthis for the current impasse. Gargash has said that it is no longer tenable for anyone to accuse the Saudi-led coalition of prolonging the war in Yemen or for obstructing the road to peace. “[It’s] time for the international community, NGOs & press to take off the velvet gloves when addressing Al Houthis’ obdurate behaviour,” Gargash tweeted. He said the international community must call a spade a spade. “The Al Houthi militia is undermining the Sweden agreement & further progress towards peace. Addressing this reality is essential for all to move forward,” he added. His words hit at the core of the problem. As we have learnt from the past, Al Houthis are constantly violating agreements. 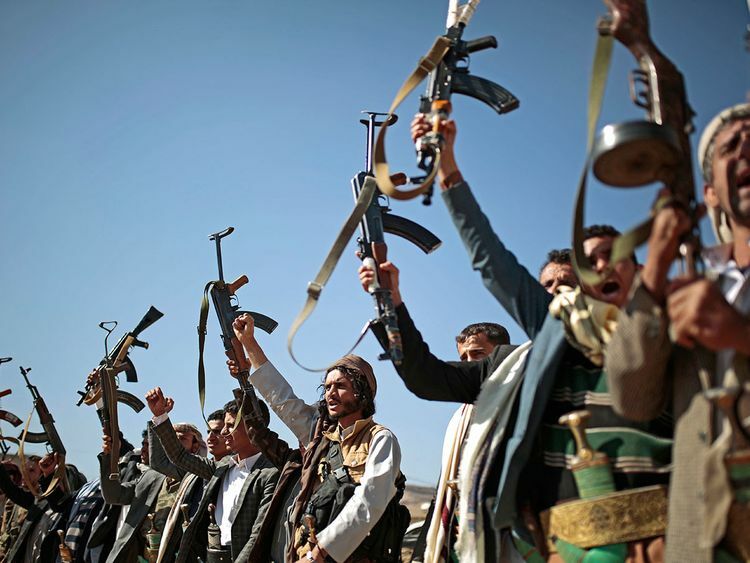 The Yemeni government and Arab coalition fighting alongside them have pointed out a pattern of Al Houthis engaging in talks, only to break the terms later on. They argue that this is a stalling tactic to waste time and distract as they beef up their militias on the ground. So the fact that they are violating the agreement isn’t so much the problem as it is the failure of international institutions to blame them for sabotaging hard-earned progress towards peace. The coalition and Yemeni government have consistently risen to the challenge to avoid violence by seeking out peaceful resolutions, only to come to regret their efforts later. If Al Houthis were properly chastised by the international community for their subversion, maybe they would think twice before sabotaging peace efforts.